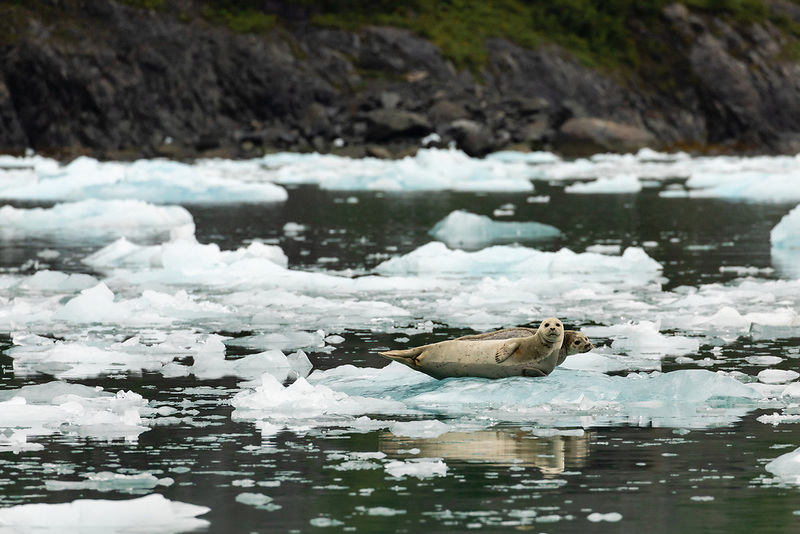 Harbor Seals (Phoca vitulina) resting on iceberg in Surprise Inlet in Southcentral Alaska. Summer. Morning.